Au destin | One quality, the finest. 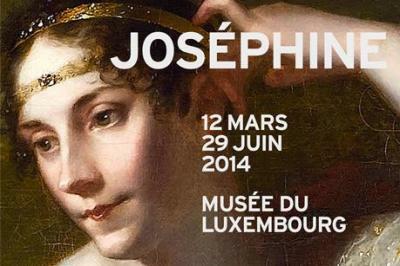 When I get to Paris in June, I’ll be just on time to see Joséphine at the musée du Luxembourg. The former Empress of France was an interesting woman. 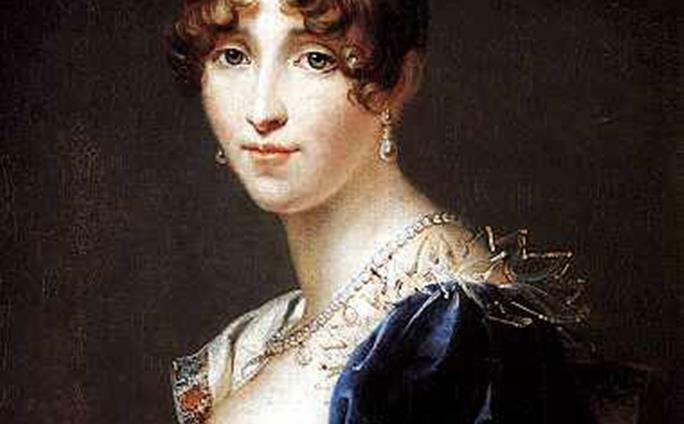 Born on the island of Martinique to a family of sugarcane planters, Joséphine married a young aristocrat named Alexandre Beauharnais. The marriage was unhappy, but produced two children, Eugène and Hortense. Alexandre died on the guillotine during the French Revolution. The widowed Joséphine only narrowly missed the same fate. Joséphine decided that she needed to find a wealthy sponsor to support herself and her children. To that end, she engaged in a series of affairs. When she met an up-and-coming officer named Napoléon Bonaparte, who was six years her junior, sparks flew. Their passionate correspondence documents a torrid relationship before, during, and yes, even after their marriage. He gave her a wedding band inscribed “Au destin” (oh destahn), or “To destiny.” And what a destiny they shared! Despite all this passion, neither one remained faithful to the other for longer than a few minutes at a time. Even though Napoléon made her his Empress, when she couldn’t produce an heir, he divorced her. It must have been the strangest divorce ever as they each read statements of devotion to one another. He gave her the beautiful château Malmaison and allowed her to retain the title of Empress. 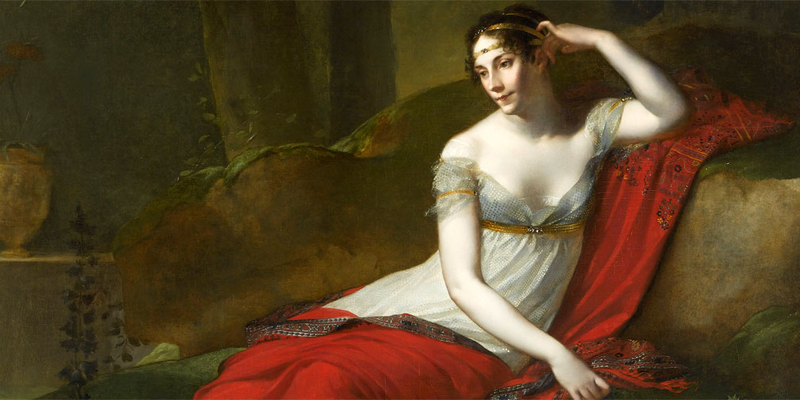 Joséphine caught a cold while walking in the garden of the château and she died just four days later on May 29, 1814. 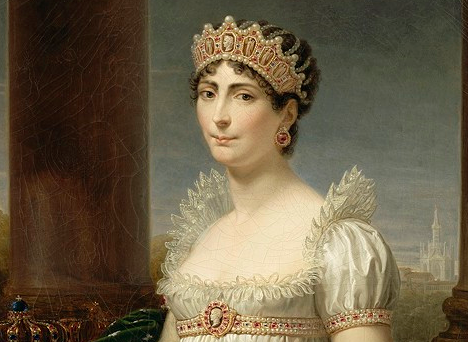 To mark the two hundredth anniversary of her death, the musée du Luxembourg is presenting personal mementos and major works of art representing Joséphine, Napoléon, and their circle. You’ll notice that she doesn’t show her teeth in any of the pictures. One of my professors told us that Joséphine’s teeth were in rather bad shape after a girlhood spent gnawing on sugar cane. Despite questionable dentition, she cut quite a swath through French society. You’ll meet a woman who loved travel, music, gardens, and fashion. Sounds like someone I’d like to sit next to at a party. This entry was posted in Art, Events, History and tagged Au destin, Josephine Bonaparte, musée du Luxembourg, Napoleon Bonaparte. Bookmark the permalink. Patricia, have you read “Napoleon and Josephine’s Walks through Paris” by Diana Reid Haig? This smart little book (2004, $19 from Barnes & Nobles) takes you on a chronological journey of their lives together in Paris including maps, a brief history of each landmark, and pictures. It also fits compactly in your purse! I highly recommend it to enhance your journey of Josephine! No, I didn’t know about this book. Thanks so much for the recommendation! Pingback: Être à la bourre | One quality, the finest.